With Android 4.3, Android implemented the idea of always-on WiFi where, even if you had Wi-Fi toggled off, the device and apps could still scan for WiFi networks to improve the location's accuracy. Along with using network triangulation, it's another way of getting your current position as quickly as possible without having to rely too much on GPS signals. 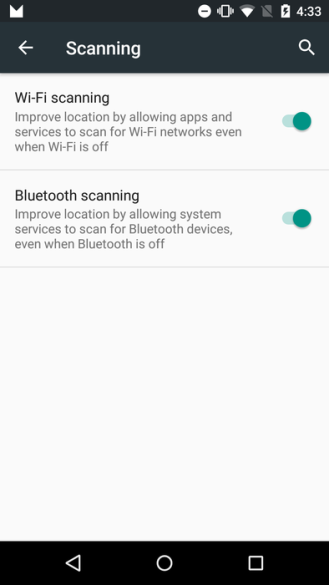 Android M is taking the idea further, adding Bluetooth scanning to the equation. 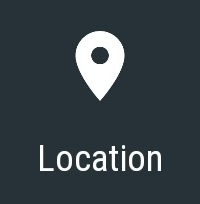 Under the Location settings on M, you'll find a Scanning option in the menu, where both Wi-Fi and Bluetooth scanning can be toggled on and off. When enabled, Bluetooth scanning will presumably look for BLE devices like beacons to get a quicker location fix. This may be very useful in the future inside malls, airports, and various indoor or underground locations where the reach and dispersion of Bluetooth beacons can outweigh a slow or impossible GPS signal lock. And the fact that it's always on, accessible whenever apps need a location fix, will make it even handier than if you had to remember to manually turn on Bluetooth.